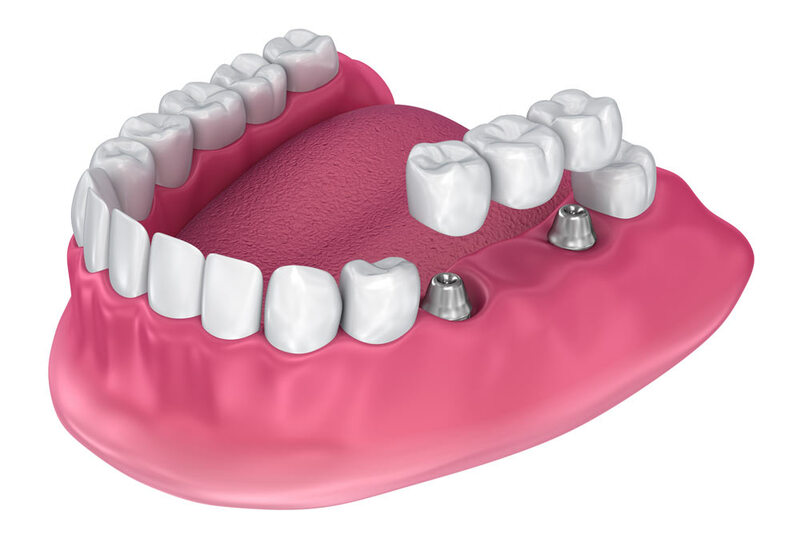 Dental implants are only one of several options for tooth replacement. Others include dentures and bridges to fill the gaps in their smiles. Here is how dental implants compare to these once-popular treatment methods. Dentures are best suited for patients who have lost more than one tooth, and are typically are provided in one of two versions: full or partial dentures. Full dentures can replace a full arch of teeth, while partials can be shaped to fill the gaps of teeth in different parts of the mouth. The downside: dentures are removable and are often clipped or glued into place daily with a messy adhesive. They also require daily cleaning or immersion in a cleaning solution overnight. Dental implants, on the other hand, are permanent. They are designer for patients with one or more missing teeth who want a long-lasting solution. Unlike dentures, the permanent placement allows patients to eat normally and consume favorite foods without special preparation. Dental bridges are an ideal quick-fix solution for those who want to fill in a missing tooth right away. However, they are not placed in the jawbone and require that the neighboring teeth be filed down in order to fit the bridge into place. This causes permanent damage to the neighboring teeth. With dental implants, you won’t need to change the appearance of the surrounding teeth. While the implant process takes longer than a dental bridge, it is permanent and doesn’t rely on other teeth for support. It is supported by the jawbone and looks and feels like a natural tooth. 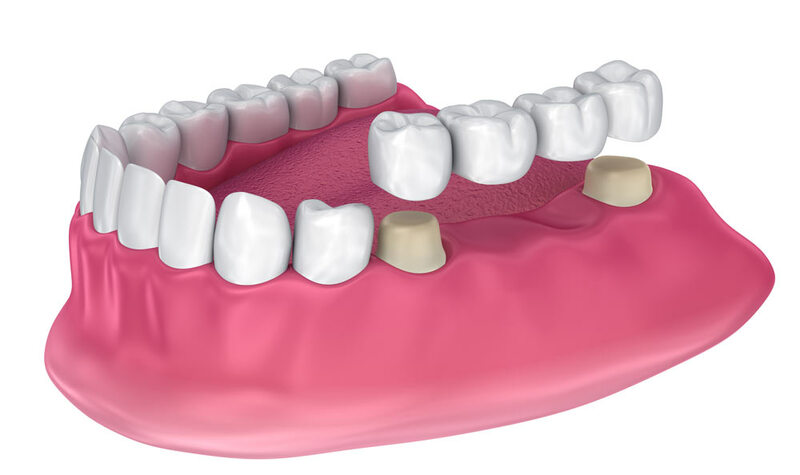 Implant-supported bridges and dentist offer the best of both worlds and are reserved for patients who have lost most or all of their teeth in the arch of their smile. These are essentially full bridges or dentures that are attached into place using four or more implant fixtures in the jawbone. The patient enjoys both implants and a complete set of teeth. Individual dental implants are best suited for patients who have one or a small number of missing teeth. Having too many implants can place stress on the jawbone. You don’t need to make the decision yourself. Let Dr. Sonny Kim explain the options, and benefits and drawbacks of each. Each patient’s smile is different, so every patient will have different needs for tooth replacement. Please contact Advanced Family Dentistry to set your consultation appointment.